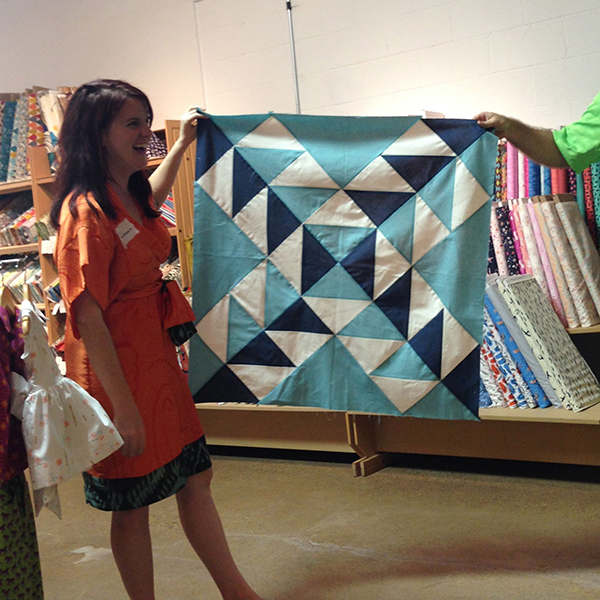 I had the chance to finally attend CityCraft's Modern Quilt Club meeting this past Wednesday night with friend and blogger extraordinaire Tara. The challenge for this month was to create a modern block and below are a few of my favorites. 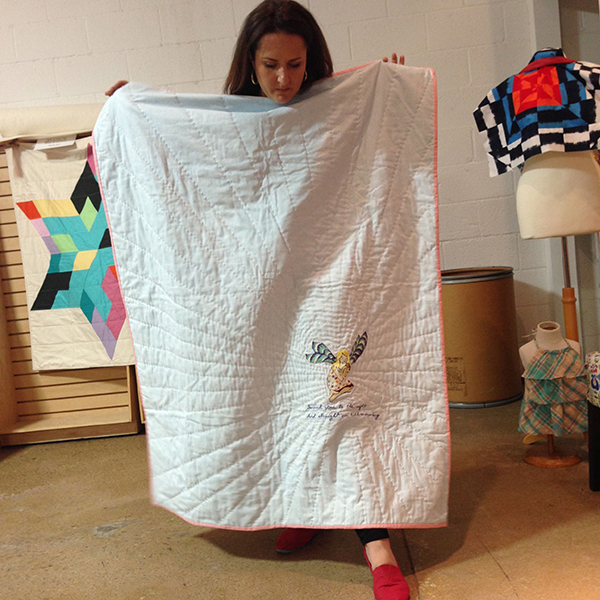 The applique and hand stitching/quilting by Callie is simply amazing, amazing, amazing. As for my show and tell, I debuted a new stair step quilt, which will be listed in the shop in the next few weeks!